Henrique (Rico) Malvar is a Microsoft Distinguished Engineer and the Chief Scientist for Microsoft Research. In that role he oversees cross-lab collaborative projects. He also manages the Microsoft Research NExT Enable group, which aims to empower people living with disabilities. Previously, Rico was the Managing Director of Microsoft Research Redmond, and before that he was a Principal Researcher in and founder and manager of the Communications, Collaboration, and Signal Processing group at Microsoft Research. 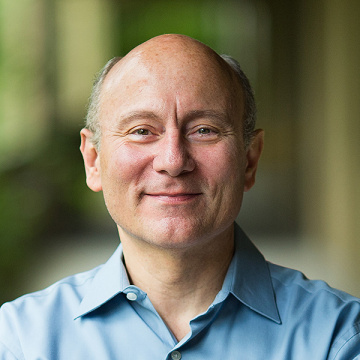 Before coming to Microsoft in 1997, Rico was Vice President of Research and Advanced Technology at PictureTel (later acquired by Polycom). Prior to that, he headed the Digital Signal Processing research group at Universidade de Brasília, Brazil. He received a Ph.D. in electrical engineering and computer science from the Research Laboratory of Electronics at MIT, under the advice of Prof. David Staelin, in 1986, a M.Sc. in electrical engineering from the Universidade Federal do Rio de Janeiro (COPPE-UFRJ) in 1979, under Prof. Luiz P. Calôba, and a B.S. in electrical engineering from the Universidade de Brasília in 1977, working with Prof. Carlos Lisboa. He is the inventor or co-inventor of over 120 issued U.S. patents and over 160 technical articles in journals, conferences, technical reports, and standards contributions. Rico is a “carioca”, which means he was born in Rio de Janeiro, Brazil. Rico’s technical contributions include the development of lapped transforms (used in multimedia formats, Internet telephony, DSL modems, and other applications), and Malvar wavelets (a class of local trigonometric transforms, also known as Malvar-Wilson bases or Malvar-Coifman-Meyer wavelets). At Microsoft his contributions include co-development of the Windows Media Audio digital audio format, image and data compression technologies for Microsoft Windows, Office, Hyper-V, Tablet PC, Bing Maps, and Xbox, rights management technologies for Windows Media, entropy coders for bitmap compression in Windows RDP/RemoteFX, new video transformation and quantization and new color transformation techniques that were adopted into H.264 (the most used video format for digital TV and Internet video, e.g. YouTube, Netflix, etc. ), and audio signal processing technologies for Windows, Lync, RoundTable, Xbox, and Kinect. Rico’s PTC image codec was the basis for the development of the new Microsoft HD Photo format for digital pictures, which has been adopted by the ISO and the ITU-T as the new JPEG XR standard. His technical interests include signal enhancement and compression, especially of audio and images, multirate signal processing, signal decompositions (filter banks, transforms, wavelets), fast algorithms, coding theory, and electronic circuits and hardware. Rico is a member of the U.S. National Academy of Engineering, a member of the Washington State Academy of Sciences, and a member of the Brazilian National Academy of Engineering and the Brazilian Academy of Sciences. He has been an Affiliate Professor of Electrical and Computer Engineering at the University of Washington since 1999, where he was also a past chair of the UW ECE Advisory Board.He is also a member of the industry advisory boards at MIT (LIDS). He was a member of the advisory board for the IEEE Future Directions Committee, a past member of the advisory boards for Ming-Hsieh EE Department at USC and the School of Computer and Communication Sciences (IC) at EPFL, and a past member of the advisory committee for the Computer and Information Science and Engineering (CISE) Directorate at the National Science Foundation. He is a member of the editorial board of the journals Foundations and Trends in Signal Processing, APSIPA Transactions on Signal and Information Processing, and a past member of the editorial boards of Applied and Computational Harmonic Analysis (ACHA) and the IEEE Signal Processing Magazine. He was a past member of the Signal Processing Theory and Methods Technical Committee of the IEEE Signal Processing Society, and a past associate editor of the journal IEEE Transactions on Signal Processing.